Although most people are aware that exposure to asbestos is harmful to human health, there is not yet a great deal of awareness about mesothelioma: the cancer caused by it. 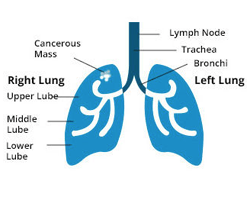 Mesothelioma, a deadly cancer which most often affects membranes found in the lungs, but is also found around the heart and other organs. lawmakers were slow to catch on to the dangers of working with the mineral, and asbestos was included in construction materials for decades to come. Asbestos enters into the human body through inhalation of its microscopic fibers which embed themselves in cells, causing mutations. What is striking about mesothelioma is that symptoms can show up as late a 50 years after exposure to the asbestos! Statistically, construction workers and miners who worked with the material are at greatest risk for the disease. There are four types of mesothelioma: pleural (lung tissue), peritoneal (abdominal tissues), pericardial (heart tissues) and testicular. Pleural mesothelioma, at 75 per cent, is by far the most common and symptoms include: breathing difficulties, coughing up blood and chest pains. To prevent mesothelioma, examine your history for any encounters with asbestos. Be sure your family doctor is aware of your exposure. Preventive tests such as whole body MRI can catch symptoms before they reach late stages. Read more valuable information at Mesothelioma.net.